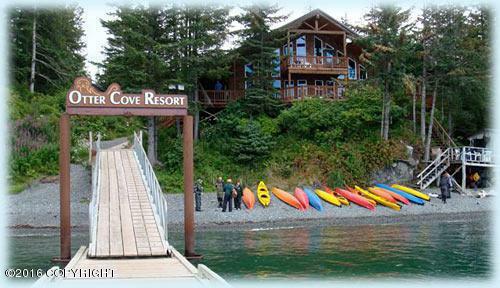 Otter Cove Resort is located on 8.73 waterfront acres in Eldred Passage just 5 miles across Kachemak Bay from Homer, Alaska. 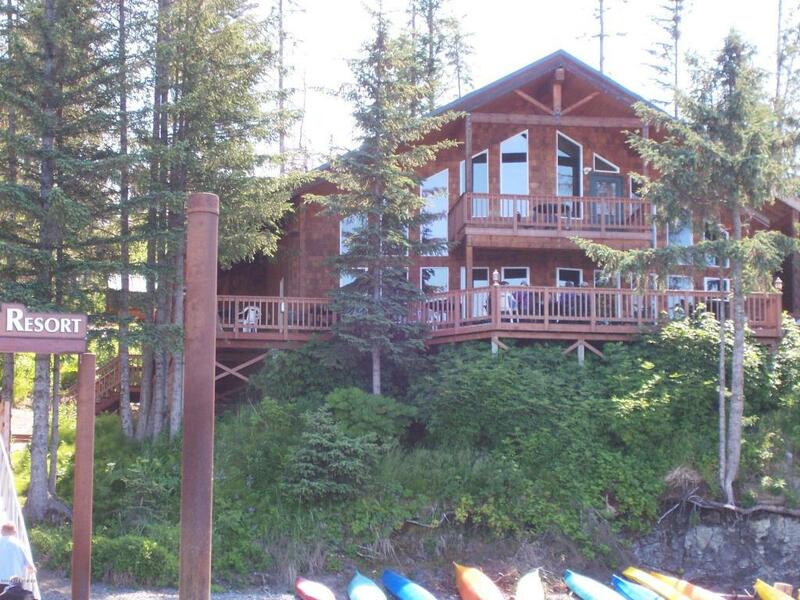 Just a short boat ride and you are in a lush maritime forest surrounded by Kachemak Bay State Park. The private beach is the perfect place to start a sea kayaking excursion, a beachcombing adventure, or head into the forest for a spectacular hike.The beautifully crafted 3,908 square foot main lodge features a huge covered deck that is the perfect spot to take in the waterfront views and spot the namesake otters. Inside there is an open and spacious dining/gathering area with fireplace, conference room, manager's unit, and a gourmet professional kitchen. 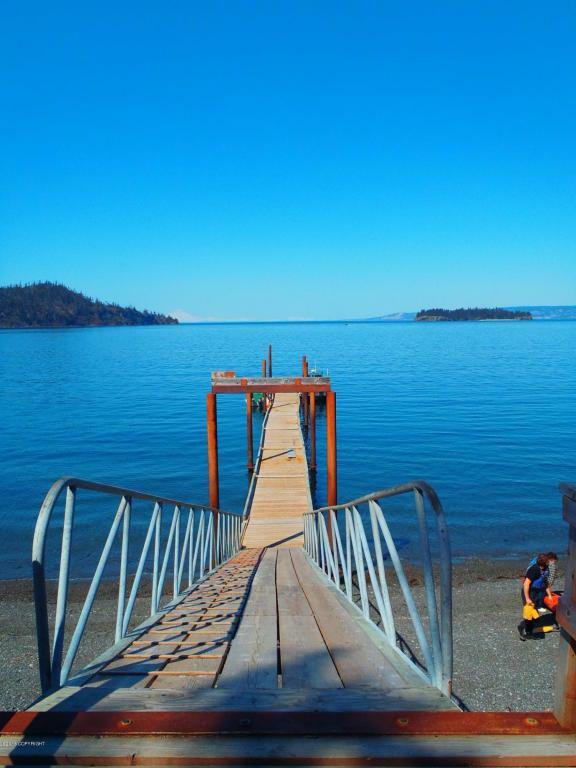 The resort has two cedar duplex camping style cabins with covered decks situated in the lush coastal forest with views of the bay. 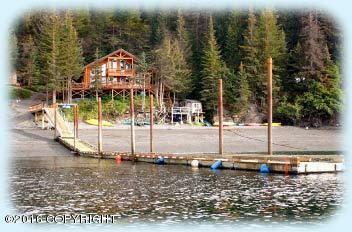 This great location makes the cabins the perfect base for kayaking, hiking, fishing, and clamming. Each unit has a large covered deck in front and is complete with electricity, and propane heat for your comfort. There are four bunks in each unit- two doubles and two twin sized- to accommodate a variety of sleeping arrangements. "His and hers" bath house with coin-op showers, flush toilets, and vanity sinks are available. A cook shack is available for cabin guests to prepare meals. Stove, refrigerator, coffee pot, microwave, cooking and eating utensils are available for cabin guests shared use. Two additional cabins house employees and there is an engineered on-site septic system and potable water storage facility with water rights. The dock system includes a 40 ft. pier with a 50 ft. ramp and 211 ft. floating dock. Fantastic hiking is available on the Kachemak Bay State Park trail system via the Otter Cove Spur Trail and great mountain biking is just around the corner off the Jakolof Bay Road. The Red Mountain and Rocky River roads are prime routes and trails lead along the shore and right across the peninsula through forest and meadows for berry picking. World class fishing is right out the front door as Kachemak Bay is an important fish and shellfish rearing area, with an abundance of herring, salmon, and halibut. Popular on-the-water summer activities include sport fishing for halibut and salmon, wildlife watching, kayaking, and exploring the pristine beaches.